Superbowl Odds: After two weeks of great playoff football, we are down to the final four teams, which means that the Conference Round is upon us this coming weekend. At the end of the day, there were no great surprises to be found, as we are now left with the top 2 seeds in each conference. The AFC Championship Game will see the New England Patriots head to Arrowhead Stadium to face the Kansas City Chiefs in a rematch of a thriller that we saw earlier this season, while the New Orleans Saints and the Los Angeles Rams will meet up in the NFC Conference Game. Take a look at the current odds for each of the 4 remaining teams. There is always a concern that a team is going to have a difficult time shaking off the rust after a bye week, and for the first quarter of the Divisional Round, that was certainly how it looked for the New Orleans Saints. They found themselves down 14-0 early to the Philadelphia Eagles, but after that slow start, the defense held strong while Drew Brees and the offense did just enough to ease ahead of the defending champions. It is worth remembering that the Saints starters basically had two weeks off after resting a ton on guys in Week 17, so expect them to be better this week. Given their home field advantage, it’s no real surprise that the Saints stay in as the Super Bowl favorite. The biggest knock on the Chiefs heading into the playoffs was their defense, which had not held up particularly well during the regular season. They came to play last weekend, though, as they shut down Andrew Luck and the Colts in a truly smothering performance. Mahomes and the Chiefs offense did its usual thing, putting up 31 points and getting out to an early lead in a game that never really looked to be in doubt. Next up for the Chiefs will be another home game, this time against the New England Patriots. Prior to the Divisional Round, there was a lot of talk about the Patriots not being as good or dominant as they have been in years past. They quickly put that to bed in their game against the Chargers, scoring a TD in each of their first 3 possessions. The Patriots took their foot off the gas a little in the second half, but they continued to create turnovers and put up points on their way to a 41-28 win over the Chargers. The Patriots have been great at home all season long, but they have a bigger challenge on their hands this weekend with a trip to Kansas City. The L.A. Rams are now the biggest longshots left in the final four, mostly because they need to go through New Orleans to make it to the Super Bowl. 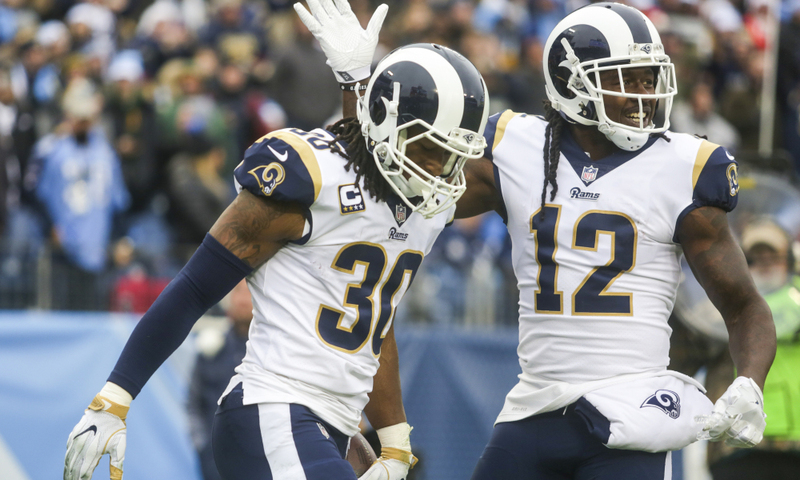 The Rams had a little bit of a nervy start against the Dallas Cowboys in the Divisional Round, but they eventually wore them down, coming away with the 30-22 win. The Rams dominated on the ground in that one and are likely going to need more of the same this coming weekend to silence what is sure to be a raucous Saints home crowd. Bet the Superbowl with SportsbettingOnline and receive 50% Bonus! To Get our Latest Free Picks Daily Click Here!